Mon., Feb. 26, 2018, 11:45 a.m.
JEFFERSON CITY, Mo. – Missouri lawmakers returned to the Statehouse Monday for the first time since Gov. 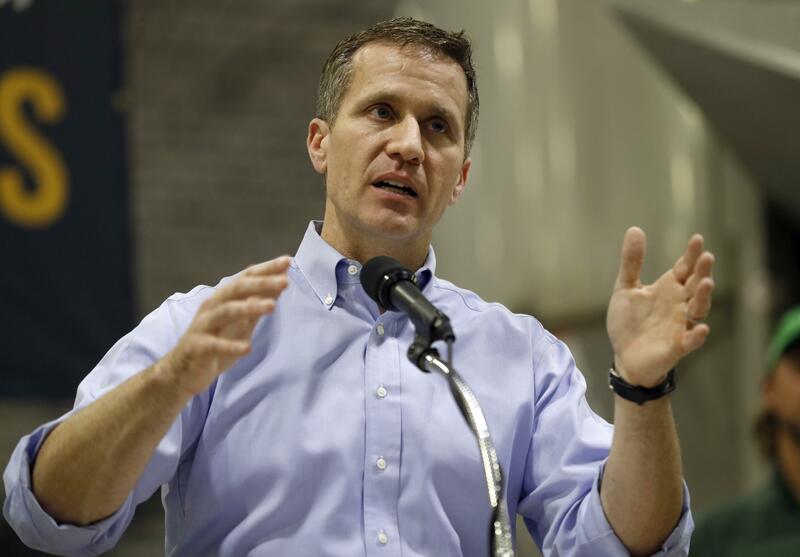 Eric Greitens was indicted, with plans to discuss assembling a committee whose investigation could lead to his impeachment. The first-term Republican governor was indicted late Thursday by a St. Louis grand jury on felony invasion of privacy. The charge stems from an extramarital affair he had with his hairdresser in March 2015, before he was elected. Prosecutors allege Greitens took a compromising photo of the woman without her consent. Greitens has admitted to the affair but said no crime was committed. His attorneys have requested that the indictment be dismissed. House Republican leaders said last week they’ll form a group of lawmakers to investigate the allegations and determine whether the governor can lead the state amid the felony case. Greitens’ attorney said he welcomes the investigation. House leaders didn’t specifically mention impeachment, a process that must begin in the House with an investigation. Several lawmakers, including some Republicans, have questioned whether Greitens can continue to effectively lead. Meanwhile, the grand jury investigation of Greitens is “ongoing,” said Susan Ryan, a spokeswoman for St. Louis Circuit Attorney Kim Gardner. She declined to say what the grand jury is looking into, or when it might wrap up. On Sunday, the attorney for a man convicted of invasion of privacy in St. Louis 19 years ago asked Greitens for a pardon, using the same argument that the governor’s lawyers are using in the effort to dismiss the Greitens indictment. In 1999, Paul Henreid, who now lives in California, was convicted of felony invasion of privacy in St. Louis. Henreid’s attorney, Al Watkins, said it would be “hypocritical” for Greitens to reject the pardon request. A message left Monday with Greitens’ spokesman was not immediately returned. Henreid’s trial attorneys argued that the law was aimed at “peeping Toms,” not someone engaged in a consensual relationship. Greitens’ attorneys made a similar argument in the motion to dismiss. Published: Feb. 26, 2018, 11:45 a.m.
updated High school journalists were barred from a DeVos event. So they took her to task in an editorial.